A few months back I got on a book making kick, Ebi-kun had starting writing and needed something to fill so I made little notebooks, when I was searching the net looking for booking making ideas I came across Susan's site and got hooked, she has so many great ideas! 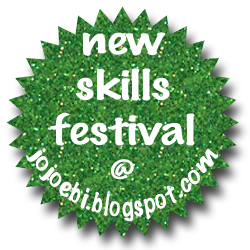 So when I started thinking about the new skills festival I asked Susan if she would like to take part, I was so chuffed when she said yes! Hi! My name is Susan. I am an artist, bookmaker, author, and educator. I've been making books for close to twenty-five years and teaching for almost as long with most of my teaching time spent with children in schools. I occasionally make blank journals for gifts, but most of my books tell a story, express a feeling, commemorate an event, or celebrate a season. I make books for exhibition as well as teaching samples, gifts, and family celebrations. 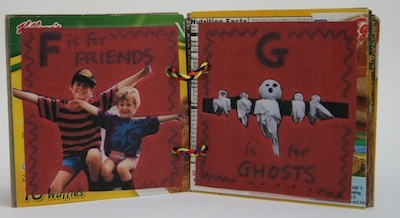 My children are now grown but I have many happy memories of making books for and with them. The handmade books in our collection serve as tangible evidence of both our lives and our joy in creating together. My particular interest is in simple forms from around the world. 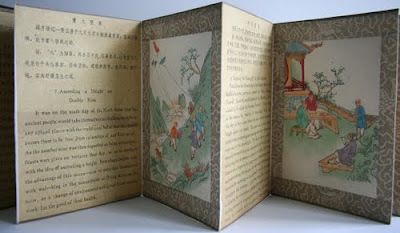 When we make handmade books, we are connecting with ancient traditions. The earliest books showed the mark of the hand in every stage from preparing materials as diverse as palm leaves, animal skin, wood, bark, and silk to writing with reed and brush with handmade ink and making colors from plants and minerals. In this age of the screen, I love the tactile pleasures of handmade books. You probably have everything you need right at home. For most of my books, I use the simplest of tools—scissors, glue stick and scrap paper (old catalogs work well), and a hole punch. 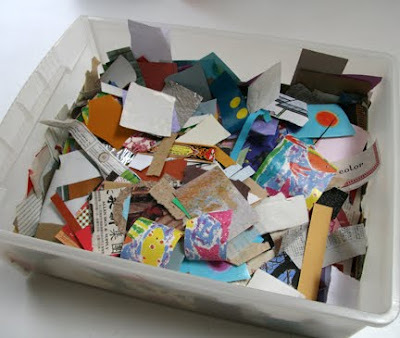 I use mostly recycled materials and make books from used copy paper, paper grocery bags, and cereal and cracker boxes. In addition to being accessible and affordable, using recycled materials is liberating. It frees us from worries about perfection and messing up and opens our minds by teaching us to see things not just for what they are but for what they can be. I use markers for writing and drawing and collage papers for decoration and illustration. Probably my favorite thing in the studio is the collage box where I save interesting paper—cards, calendars, maps, wrapping paper, envelopes —that I have cut or torn into small pieces. 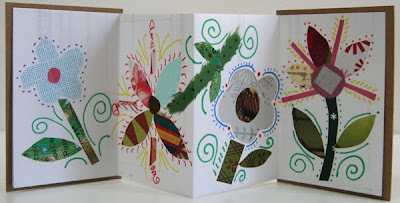 This project is a simple accordion book. Accordions are my favorite. I love that they can stand up and be displayed on a shelf or table as well as be held in the hand. I've filled my book with flowers cut from papers in the collage box. 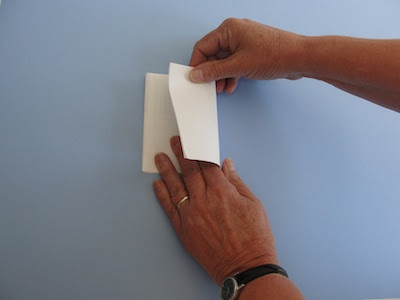 Materials: * 1 piece of used copy paper with writing on one side only * front or back panel of a cereal or cracker box * glue stick and scrap paper * pencil * scissors Fold the Accordion: 1. 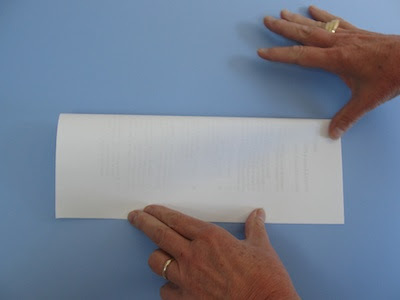 Fold the paper in half the long way (like a hot dog) with the writing on the inside. 2. 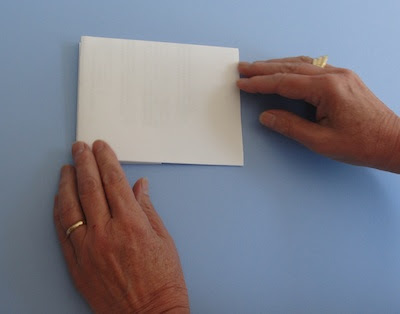 Keeping the paper folded, fold it in half the other way. 3. 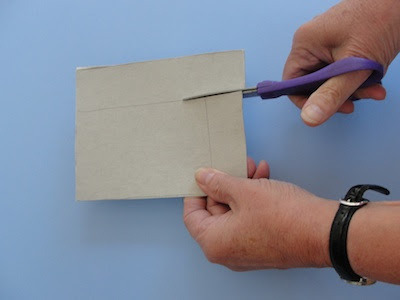 Take one layer and flip the edge back to meet the fold and crease. 4. 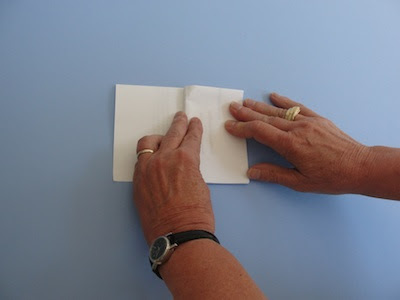 Turn the paper over so that the big side is on the top. 5. 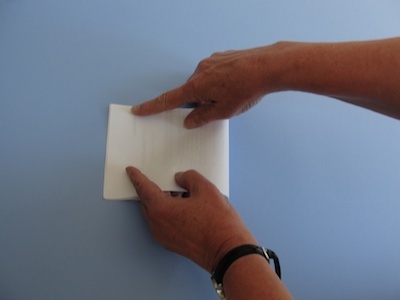 Flip the edge back to meet the fold and crease. Add the Covers: 1. Decide whether you want the cover to show the outside or the inside of the cereal box panel. Place the box panel in front of you so that is wider than it is tall with the side you do not want for the cover on the top. 2. Open the front page of the accordion. Insert a piece of scrap paper and close. Cover the entire surface with a thin coat of glue. 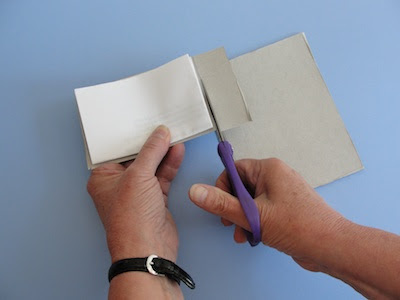 Keeping the pages folded, remove the scrap paper and fold it in half with the glue on the inside so nothing will stick to it. 3. 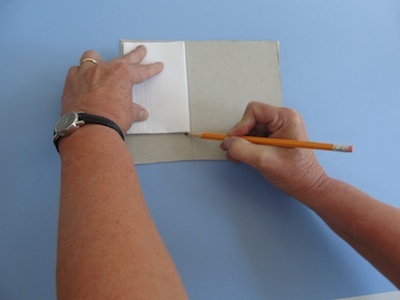 Leaving a very small border, place the glued side of the folded pages on the neatest corner of the cereal box panel. Press firmly. 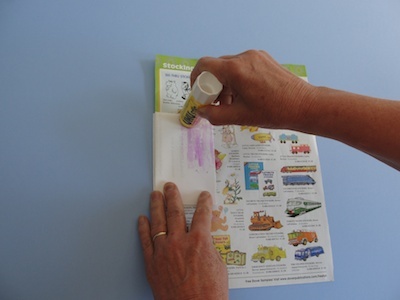 Open the pages, smooth with your hand to help the glue adhere, and close. 4. 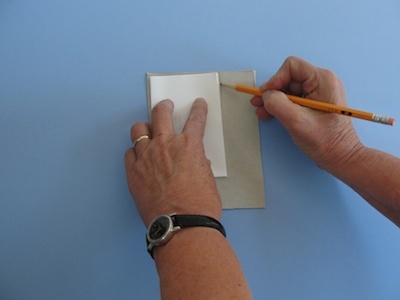 Leaving a matching small border on the other two sides, draw lines and cut the cover. 5. To make the back cover, line up 2 sides of the book in the neatest corner of the cereal box panel. Trace around the other two sides and cut out. You now have a back cover. 6. 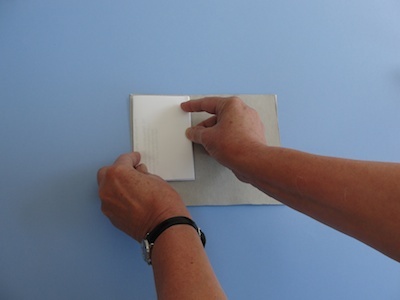 Repeat steps 2-3 to attach the back cover. Fill the book with collage flowers or words and designs of your choosing. Over the years, I've been sharing my knowledge and love of bookmaking online. My website, makingbooks.com, has extensive resources. And may I suggest my book—Handmade Books For a Healthy Planet: Sixteen Earth-Friendly Projects From Around the World. You can follow me at susangaylord.com for Book Arts Tuesdays and Studio Sundays as well as frequent posts about my art, garden, and celebrating the seasons.